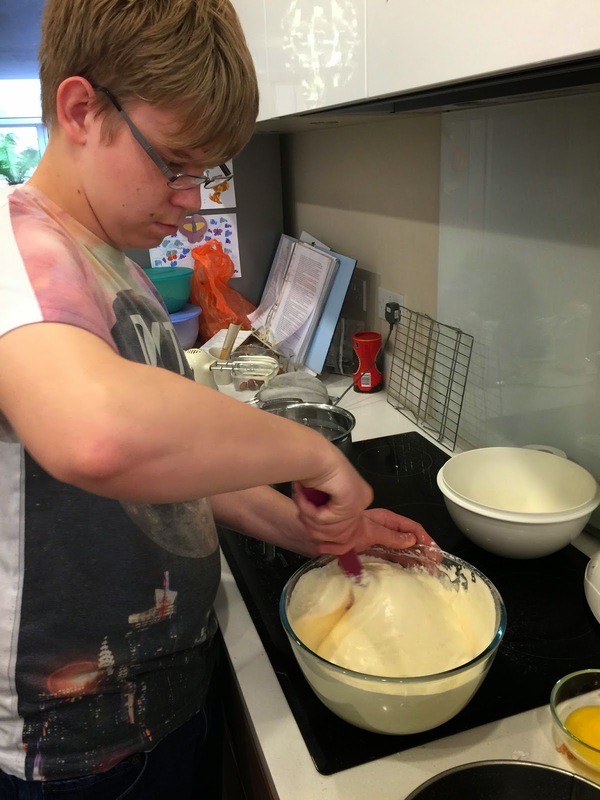 Elaine's Sweet Life: Even kids can bake Fraisier Cake! 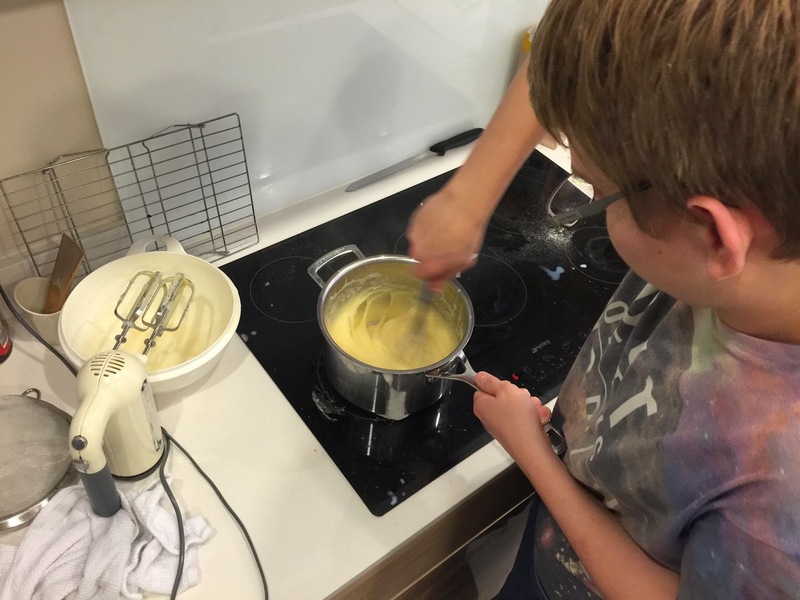 Even kids can bake Fraisier Cake! 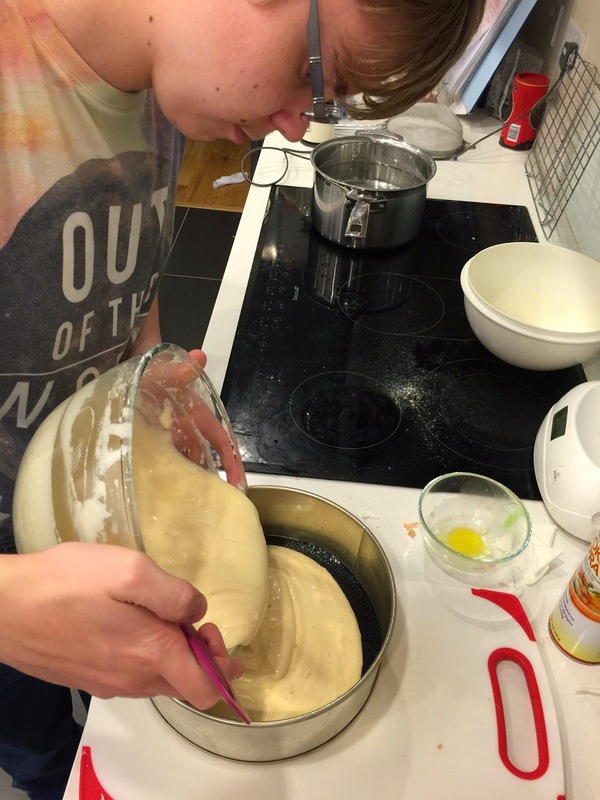 Frasier Cakes are impressive to look at, and the recipe can look quite daunting, but don't be afraid of them - they are not actually that hard to make! 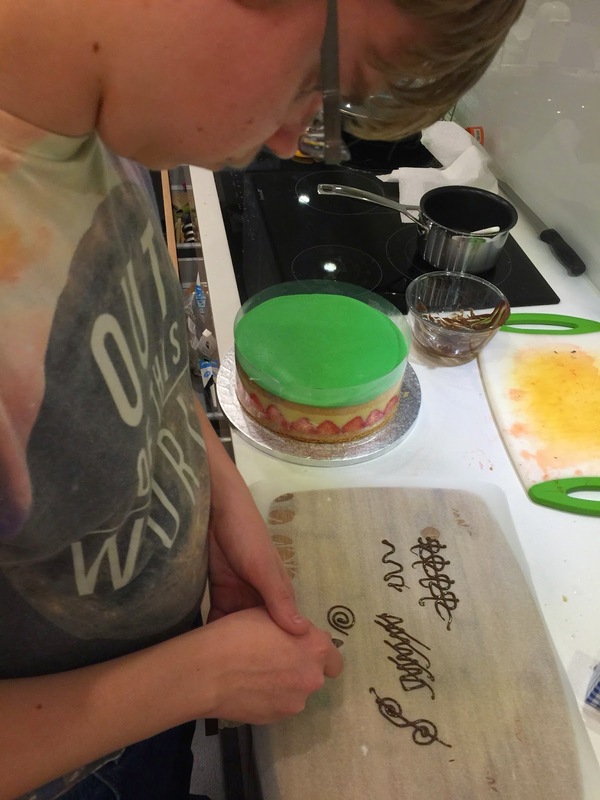 Last week my son used my Fraisier Cake tutorial to bake a cake of his own for his college Bake Off. Here he is with his magnificent award winning cake. 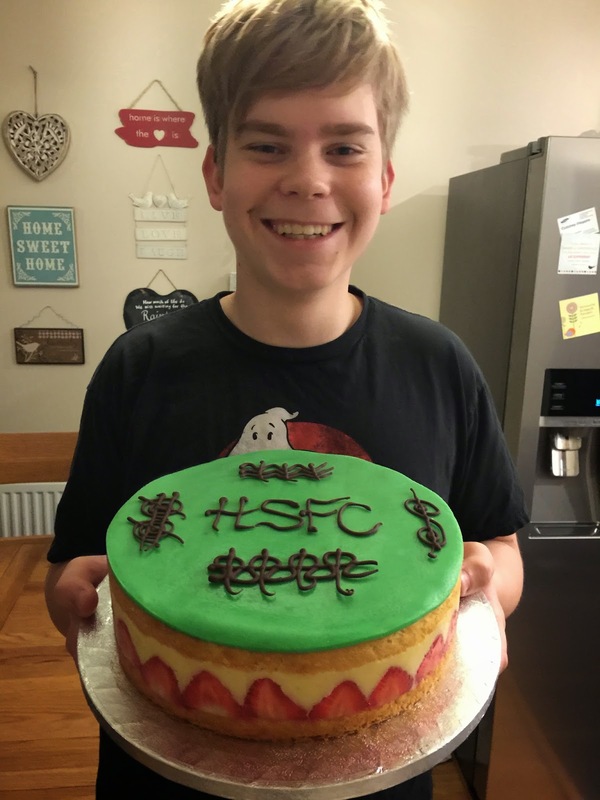 It came second in the Bake Off! 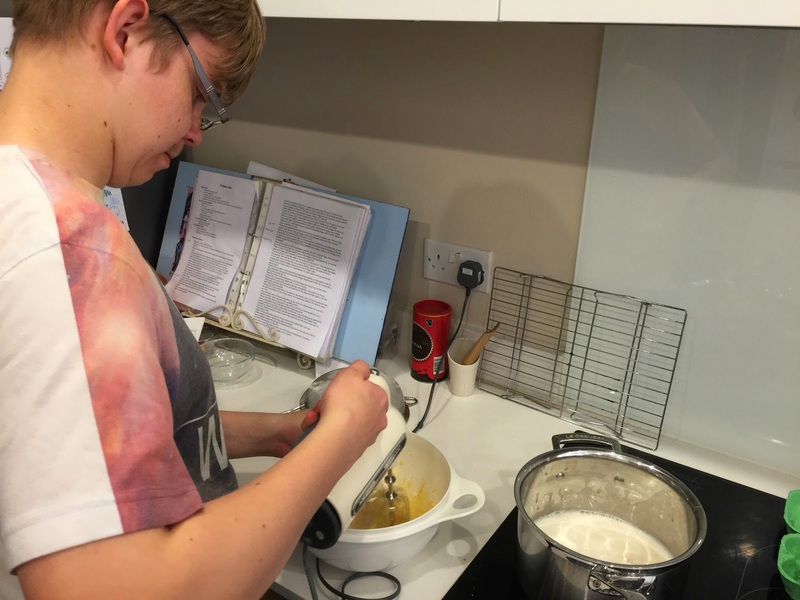 Granted, he did have me on hand to tell him when he'd beat the eggs enough and help him hold the piping bag correctly (he's not quite there yet), but he did actually make the entire cake, from start to finish, with his own two hands. 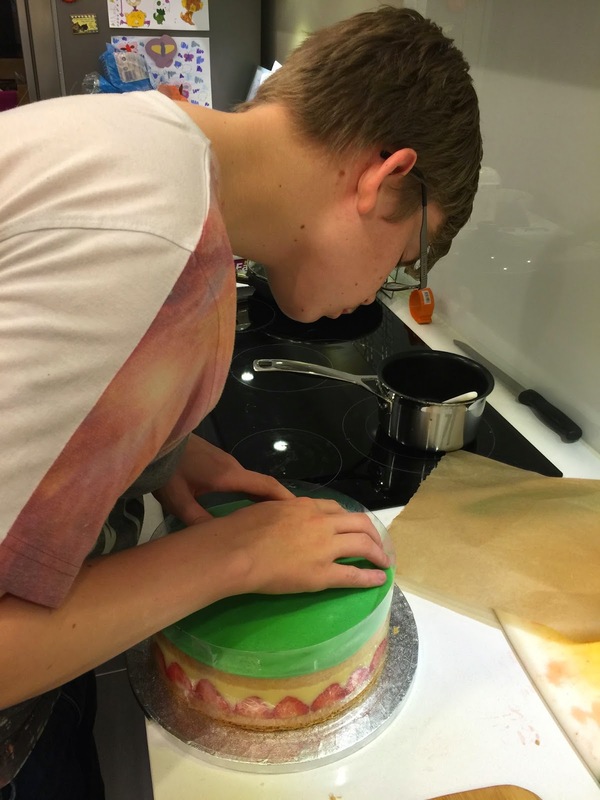 He took two afternoons to make the cake, and it was a wonderful mother-son bonding experience. 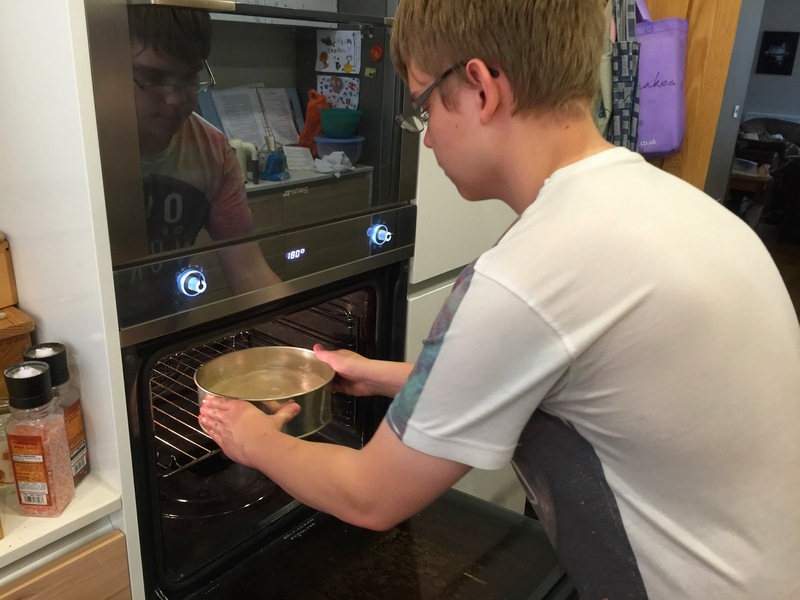 His determination to do really well for the Bake Off was an excellent motivator. 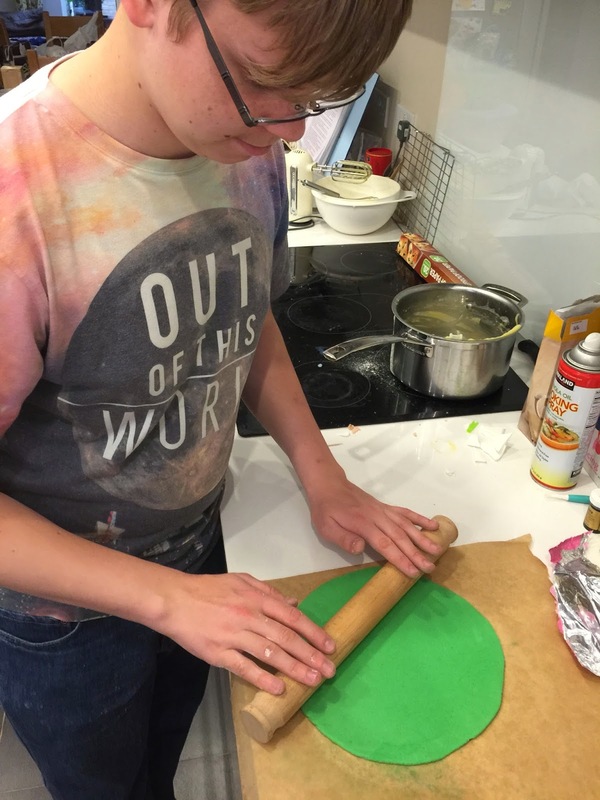 Following instructions is extremely difficult for him due to Aspergers, so he will often give up part-way on a project of this magnitude. Splitting it over two days, with a specific set of goals for day 1, helped; and I also gave him the instructions verbally as he worked, rather than having him read them. Beat the eggs and sugar to ribbon consistency. Gently folded in the flour and butter. and placed it in the oven. 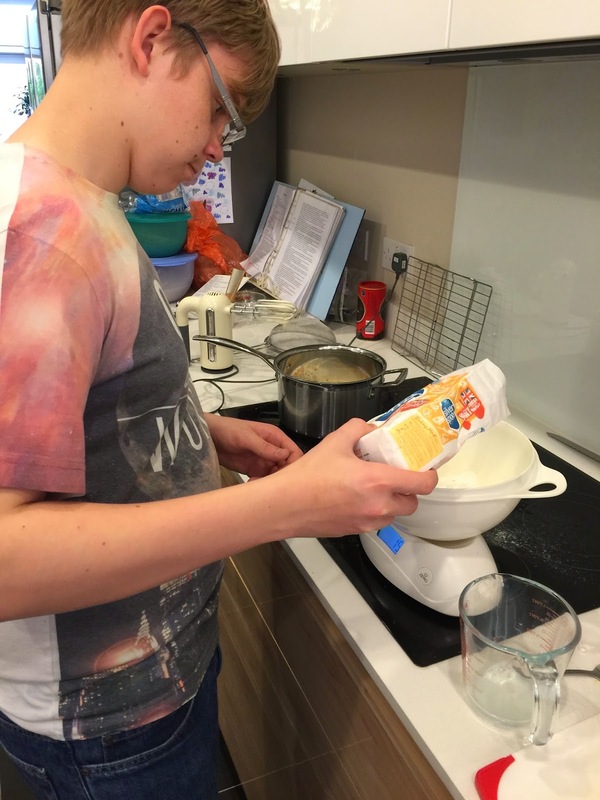 Got the ingredients ready and made the creme patisserie. Coloured and rolled out the marzipan. After splitting the sponge and brushing the syrup on, he placed the halved strawberries up against the plastic collar. Then piped the creme pat between the strawberries and over the sponge. The recipe says that you should assemble the cake in the ring of your spring form tin. I did that the first couple of times that I made the cake, but then I found that I got much better results using a sturdy clear plastic collar, taped closed. and placed the top half of sponge. 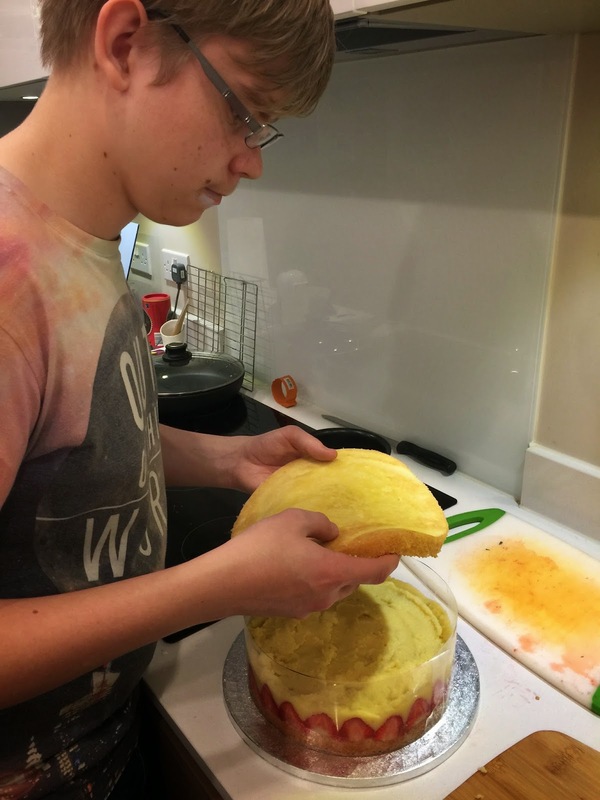 After brushing the sponge with more syrup, he added the marzipan on top. He really enjoyed piping the chocolate decorations! Well done my boy, I am so proud of you!